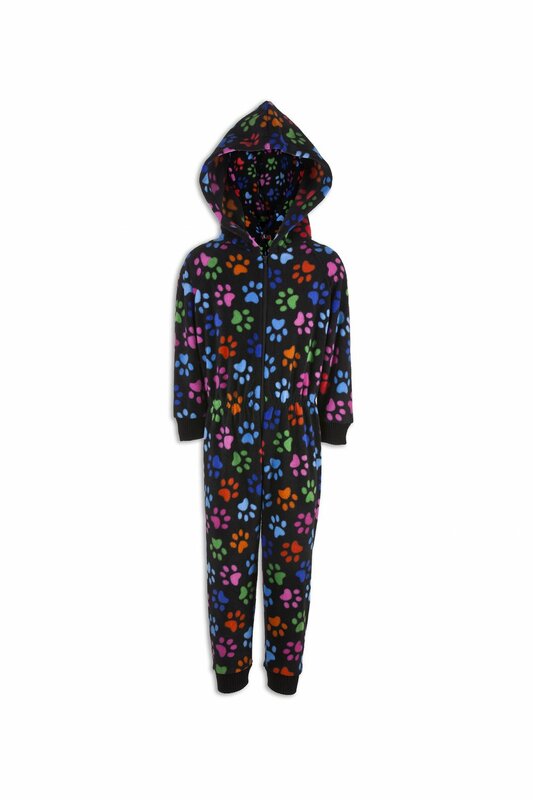 This Funky Paw Print All In One Consists Of Full Length Sleeves With A Zip Up Front. This Onesie Also Has A Hood And Two Pockets And Is Footless. This Onesie Is The Height Of Comfort For Evening And Bedtime And Will Keep You Warm And Cozy On Cold Winter Nights.